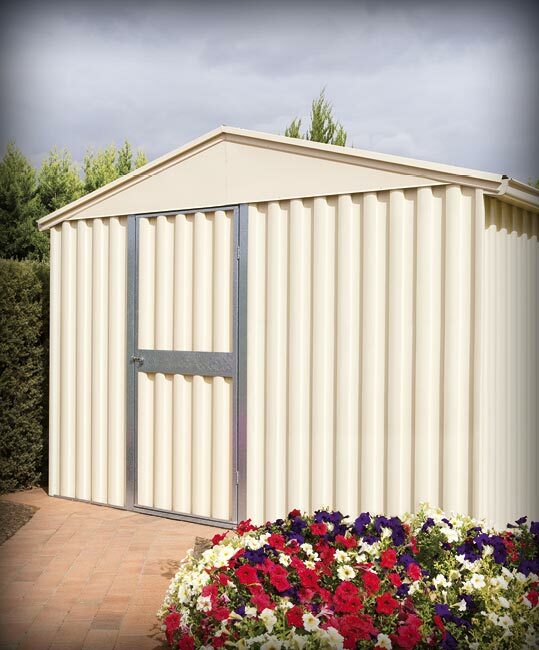 Form and function come together in the Handi-Gable storage shed. Featuring a practical gable roof and stylish Wavelok® walls that come as complete panels for a simple installation. Built from quality materials in a wide range of colours. Form and function come together in the Handi-Gable garden shed. Experience garden storage with style. Designed to complement your home, the Handi-Gable shed features a gable roof with a 15 degree roof pitch. 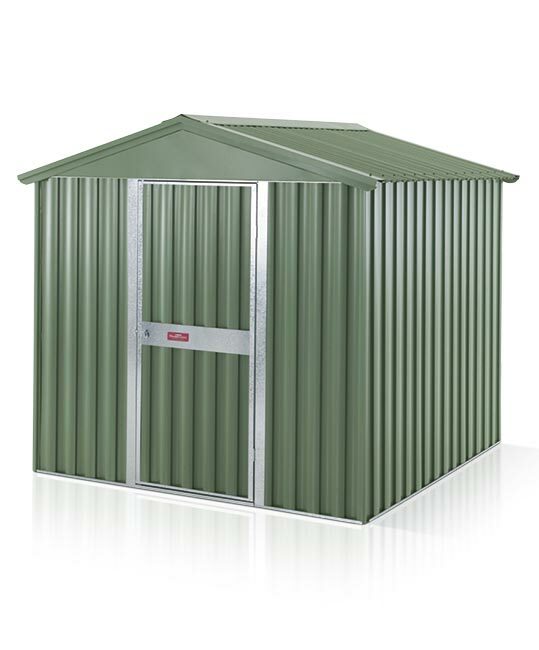 The roof is both practical and stylish, providing the shed with extra head and storage room, along with the self-cleaning abilities of a gable roof. The roof is corrugated while the walls feature Wavelok® sheeting, which is a strong, attractive profile that delivers a modern style. 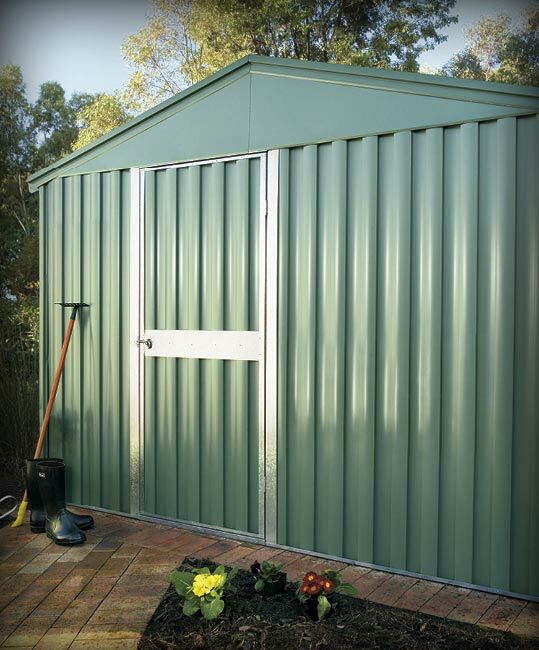 Complete your Handi-Gable storage shed with a range of extras; from louvre windows in your choice of either a zinc/al or coloured frame, to gutters and downpipes, skylight roof sheets, steel pegs, masonry anchors and fix down lugs. 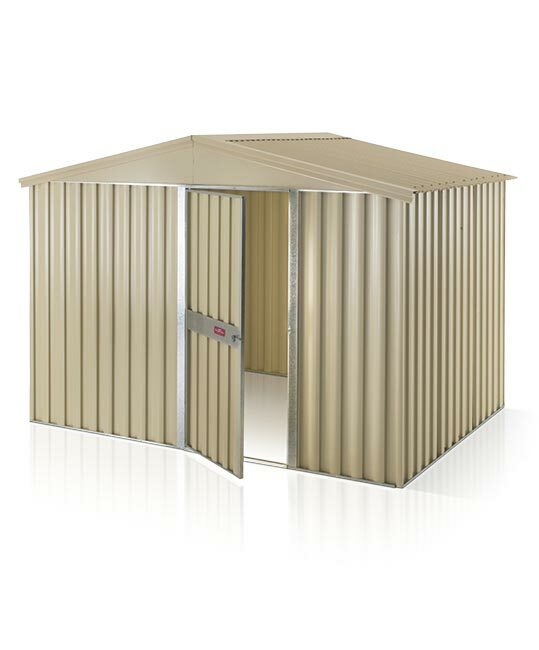 Invest in a Handi-Gable storage shed with the assurance that it is designed and built to withstand the rigours of weather and time. 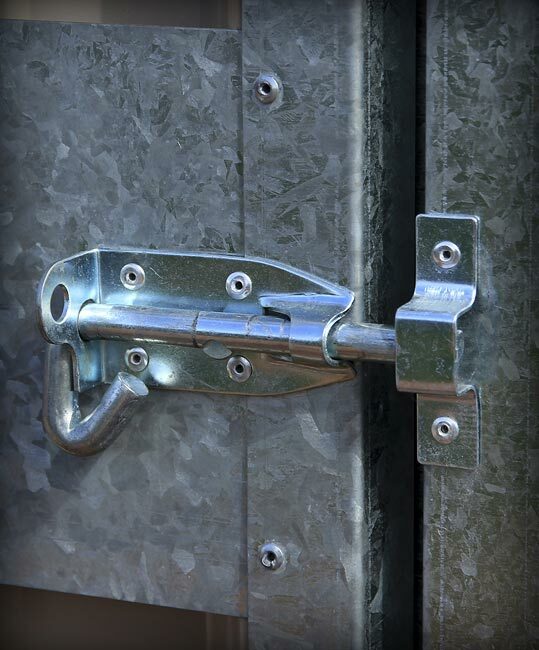 All steel components are galvanised for a long life and the sheeting materials are made from zinc/alum coated steel with a pre-painted colour finish. 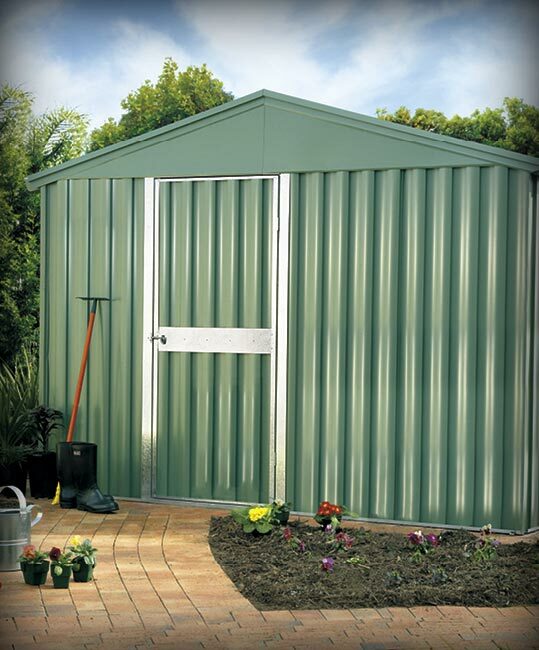 Stylish high quality garden shed. Wall sections come as complete panels for a very easy assembly. Corners are folded by Stratco and are simply riveted together to form an attractive finish. Colour walls with colour or zinc/al roof. 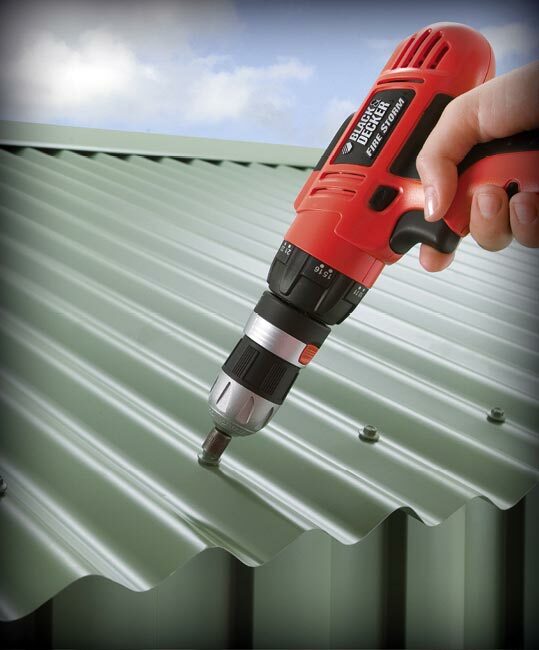 Walls are made from strong, attractive Wavelok® sheeting, while the roof uses traditional corrugated profile. 15° pitch roof to provide extra head room. Nominal sizes shown. Width and depth are measured to the outside of roof. Personal access door with lock included. 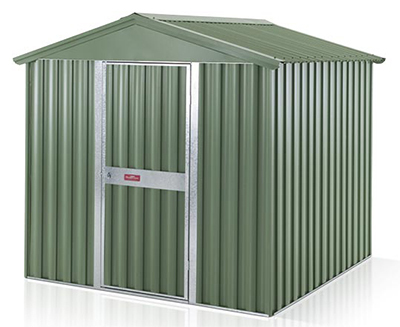 Complete your Handi-Gable storage shed with a range of optional extras. Steel pegs (Temporary Installation only, not recommended in windy conditions). Hold own kits (lugs and dynabolts).